Many people may not be aware that burning wood is a sustainable and far greener form of heat. 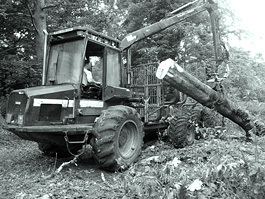 Logs are a renewable eco-fuel. Not everything you burn is bad for the environment, especially if the fuel comes from a renewable source. Some may think it's better to turn your gas central heating on than to burn logs; burning logs is far greener. It's very wrong, it's simply misinformation. We now know that solar power is very friendly, hence the reason you get feed-in tariffs to produce units of electricity from solar. Government is investing more into sustainable, renewable forms of energy and there's now a feed-in tariff for burning wood. It's already active on commercial properties such as factories, schools and shops. Many people may not know that Terminals 2 & 5 of Heathrow Airport are fuelled by wood burning technology with a requirement of circa 25,000 tonnes of wood chip to enable Heathrow to reduce CO2 emissions at the airport by at least 13,000 tonnes each year, compared with producing the same output from natural gas. The new Renewable Heat Initiative will begin in July 2014 for the domestic energy market and there will be a feed-in tariff or a burning tariff for burning wood to heat your home. Logs are a cleaner and greener form of fuel than fossil fuels, logs are renewable and, when managed in the traditional way (the way in which our business strives to do), it is entirely sustainable. One could argue that it may be better to leave the woodlands alone and rely on other renewable energies instead of burning wood yet, it is said that if a tree is left to rot it will produce more harmful gases into the environment than if you had burned it. 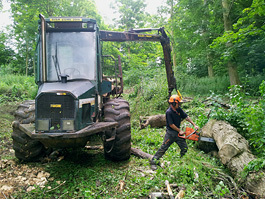 Responsibly managing woodland supports the ecology and burning firewood logs is both cleaner and greener than fossil fuels.